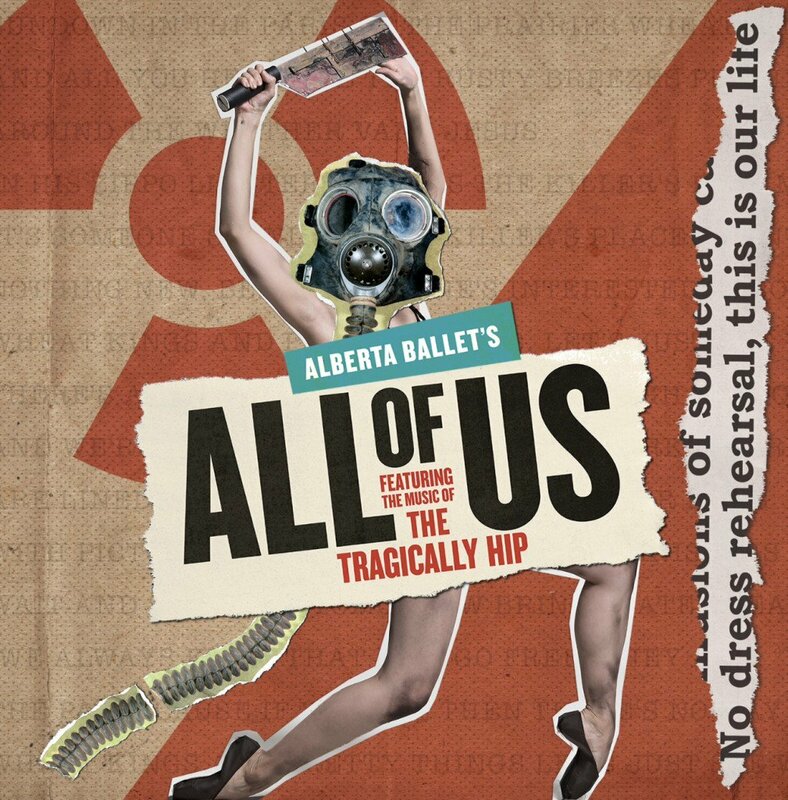 Alberta Ballet will debut a brand new stage show in early May, set exclusively to the music of The Tragically Hip. 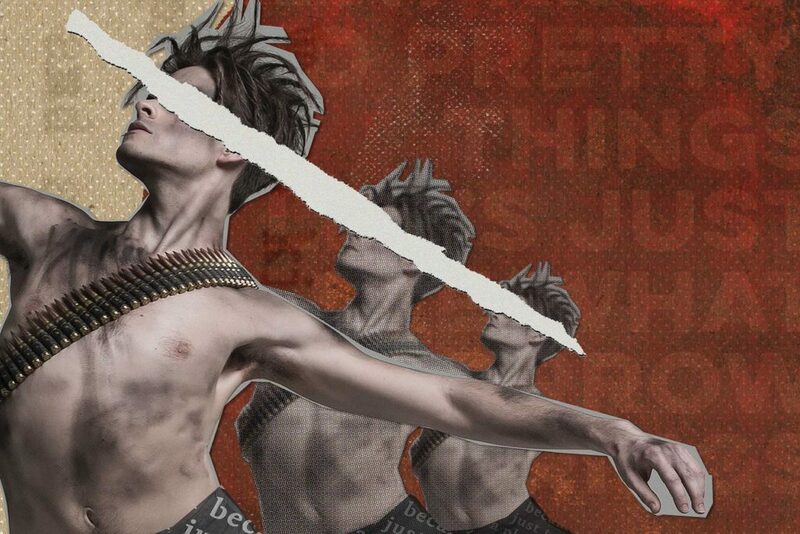 All of Us, which is the company’s latest in their series of popular portrait ballets, will feature 20 iconic songs from the band’s legendary 30-year anthology, and combine powerful, adrenaline-filled contemporary dance with a post-apocalyptic narrative about two clans warring to inherit what is left of the earth. If that sounds heavy, it’s because it is. 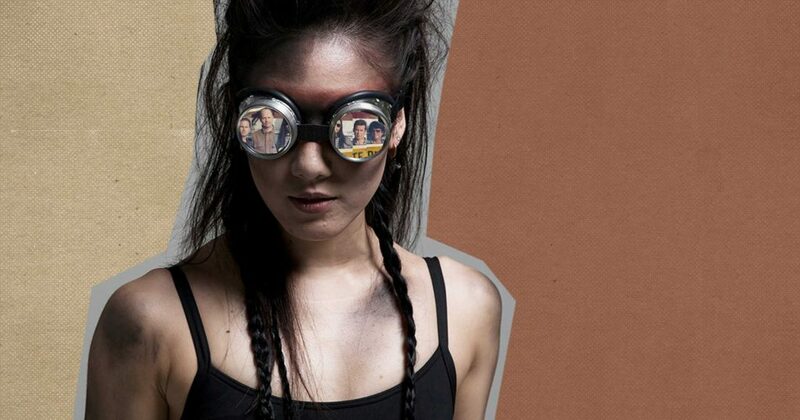 Alberta Ballet Artistic Director and Choreographer Jean Grand-Maître drew inspiration for the dystopian drama from a whole host of sources including current social and political events and from films such as Mad Max and Blade Runner. Equally as important to Grand-Maître’s vision has been his desire to deliver a story that, like the poignant and often extraordinary words of the late Gord Downie, speaks to humanity’s true inner potential by contrasting moments of extreme darkness with a profound hope that at some point, there will be light. What is Alberta Ballet’s Portrait Series? Alberta Ballet’s “Portrait Series” began pretty well by accident back in 2007. In anticipation of the ballet company’s 40th anniversary, Grand-Maître and his team were looking to debut a large-scale original production aimed at grabbing the attention of the performing arts community, when a friend suggested approaching folk icon Joni Mitchell. Mitchell, who immediately found the idea compelling, signed on as a collaborator. The resulting ballet, The Fiddle and The Drum, which paired neo-classical ballet movement with Joni’s music and artwork, was a visceral exploration of mankind’s ability to both create and destroy. Garnering international acclaim from publications such as The New York Times and The BBC, the show was such a huge success that Alberta Ballet decided to expand the series. In the ten years that have since followed, Grand-Maître and company have produced ballets set to the music and vision of some of the greatest artists of our generation including Elton John, k.d. lang, Sarah McLachlan, Gordon Lightfoot, and now The Tragically Hip. “What has made these ballets so interesting,” says Grand-Maître, “is the collaboration with the artists and the fact that I get to talk to them one-on-one about their music, their vision of life, and what message they hope to deliver through their artwork. In Joni’s, case it was about war and the environment. For Elton, it was talking about addiction and repression and wanting to use his life to educate people. For k.d., it was about the Prairies and how she first fell in love with music there. For Sarah, it was about a girl’s passage into womanhood. And, for Gordon [Lightfoot], we ended up creating a portrait of Canada as a whole, so it’s different for every artist. When Grand-Maître first approached The Hip and their management about working together on a ballet, there was a lot going on in the band’s world. Though they were completely enthralled by the idea and gave Grand-Maître and his team carte blanche to use the band’s music however they saw fit, news that Gord had been diagnosed with terminal brain cancer had recently broken and so they were deep into planning what became an epic and heartbreaking cross-country farewell tour. It was then that Grand-Maître realized just what he wanted his Tragically Hip ballet to be, and that was a story of love, hope, and ultimately redemption. Beyond the Canadiana we tend to attach to the music of The Tragically Hip, All of Us, like each of Grand-Maître’s portrait ballets, promises to both honor the band’s music and message and to present it in a whole new light. While Grand-Maître admits that when working with the music of a band as iconic as The Tragically Hip, it can be difficult to steer away from what fans imagine their songs to be––especially because so many people grew up with them––he is careful to note that that was never the intention. Who Should Go To This Event? One of the key focuses of Alberta Ballet’s “Portrait Series” has always been to work with its featured artists and dancers to blur the lines between art forms, and to create a shared space for fans of both music and ballet alike. Just like that farewell tour that touched the lives of so many Canadians, All of Us, calls upon us to once again come together as a community in celebration and provides us with an opportunity for further healing through art. With the band and their management having already confirmed their attendance in Calgary on opening night, Grand-Maître seems truly humbled by the experience and poised to share the Alberta Ballet’s latest creation with Canadians at large.